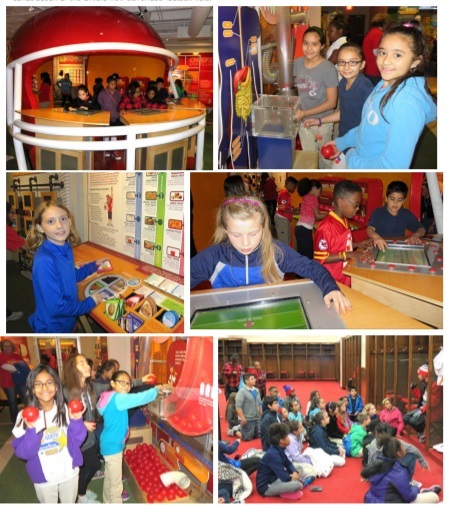 Special PE Project: SPN Students Continue to Visit "Kansas City Chiefs Sports Lab"
Each year, Stony Point North students visit the Kansas City "Chiefs Sports Lab" through their PE class activities and as part of our focus on NFL Play 60. 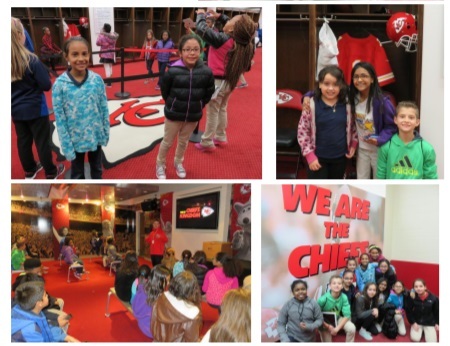 Fourth and fifth graders from SPN visit the “Kansas City Chiefs Sports Lab” at Arrowhead Stadium and receive important information which applications to both the physical education curriculum as well as the science curriculum. The “Chiefs Sports Lab” is an educational part of Arrowhead stadium that includes many interactive activities where students participate in activities and games to help learn about the body, nutrition, and how students can have a healthier lifestyle. The activities demonstrate to students how the body is affected through proper nutrition and the benefits of being physically active every day for at least 60 minutes. The visit to the “Chiefs Sports Lab” assists our students increase their knowledge of the “Fuel Up to Play 60” program along with the activities that we have currently going on in our school activities through PE classes.